When I extract an Asset ( for example a 3D-Model) from a Package, can I easily Do it with its dependencies included so that no parts are mising ( Materials, textures, normal maps, or do I have to select the dependencies manually ? 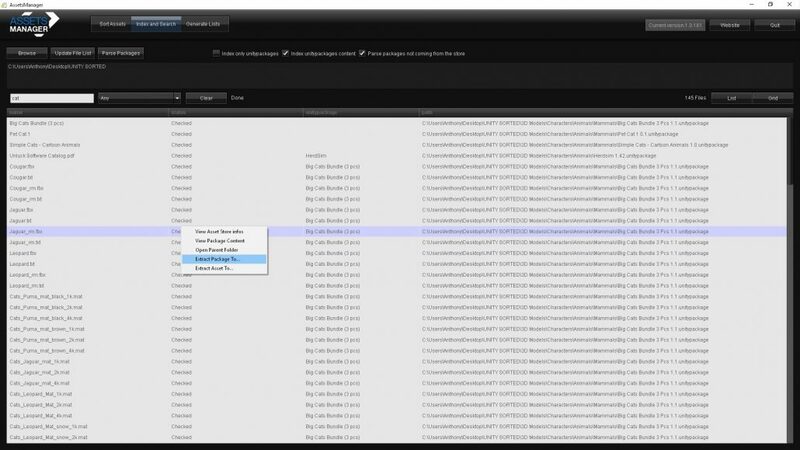 You still have to manually select the dependencies. There is no easy way to find them automatically before having them interpreted by Unity itself. Can I multiselect and extract multiple assets at once ? 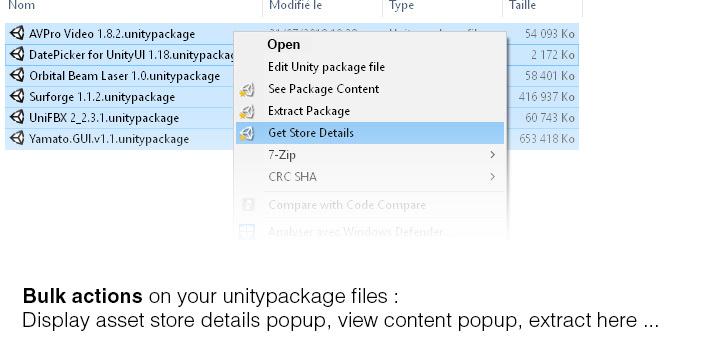 You can select multiple unitypackage files in a folder, right click and select any action. 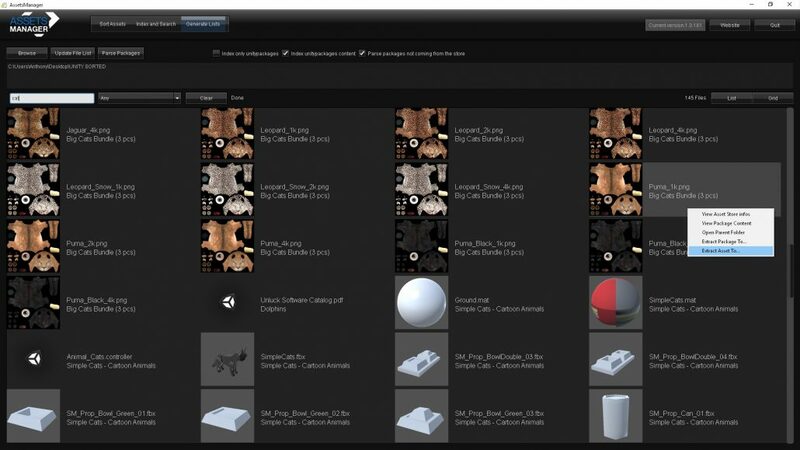 This way you will be able to check their asset store pages, and extract them at once. For now the asset extraction is done one by one, but I will definitely look into enabling multi selection extraction in the next version. 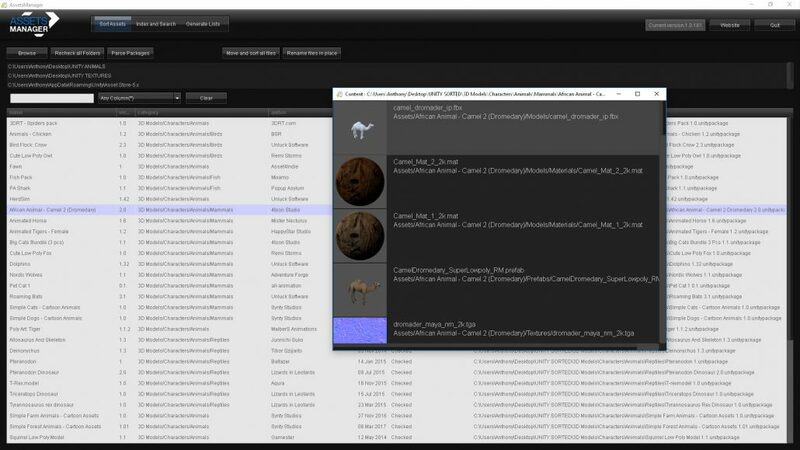 Is It / will it be possible to have a list view with the package names and an icon of the Assetstore-Icon next to it ? 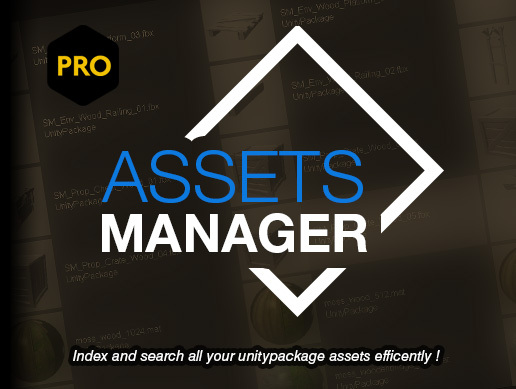 ( like in native classical Assetstore-list of your bought assets ?). Yes this is planned for the next version. Will there be a manual ? The tool is pretty much self explained, but yes I am working on a manual right now. – As the software is in beta, I am currently waiting for tests and bug reports to fix and improve the current features. 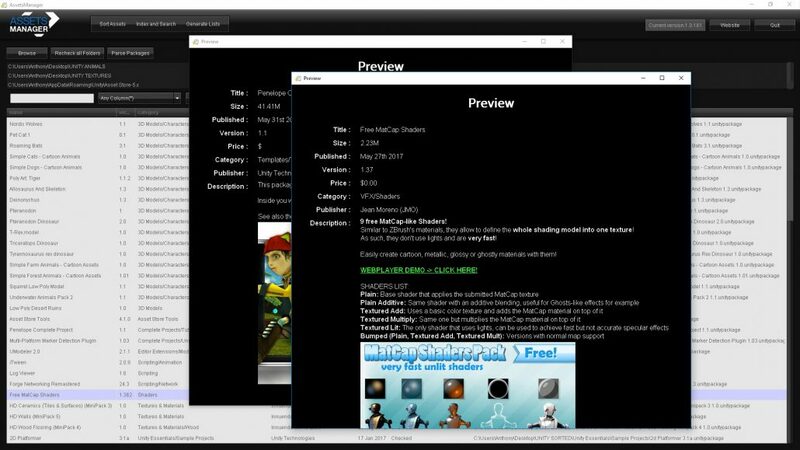 – Add more feature to interact directly with the asset store, like having a search feature, a version check feature for our packages etc. – Improve the extraction speed. It’s already multi-threaded, but I’m looking to rewrite it using faster programming languages.